The truth is, most people never really consider menopause until it’s on their doorstep, and they are left regretfully unprepared to deal with its many symptoms. Some people may not even notice these symptoms during the early stages of perimenopause. But, the sooner that you recognize and proactively respond to the changes that are taking place in the body, the better it is for your future health. Despite the fact that it is a natural biological process, the symptoms associated with menopause can cause havoc in your entire body. Menopause is different for each person, but for some, the changes can be debilitating. It can have an effect on everything, from body temperature and sleeping patterns to bone health and emotional wellness. Unfortunately, as you may have already realized, the medical system is also worryingly unprepared to deal with the symptoms of menopause. The previous generation of women were so quiet about their experience that the medical system is only now waking up to the needs of post and peri-menopausal women. On the bright side, there are some natural alternatives, one of them being CBD. In fact, CBD for menopause could be one of the most promising low-risk treatments introduced in over a generation. 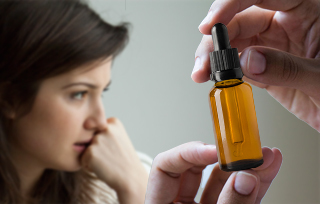 Many women are already using CBD for other hormone-related symptoms like PMS and menstrual pain, and are experiencing relief. But, could this miraculous compound also help in the later stages of women’s health issues? Let’s take a look below. Simply put, menopause is a term that marks the end of your menstrual cycles. It’s officially diagnosed 12 months after you’ve gone without a menstrual period. 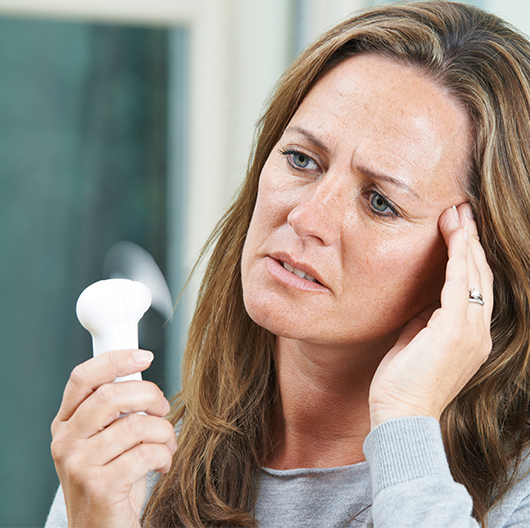 Menopause typically takes place in your 40s or 50s. In the United States, the average age for menopause is 51. Menopause is a natural biological process. However, the physical symptoms like hot flashes and emotional symptoms could disrupt sleep, affect emotional health, and even lower your energy. In the months or years leading up to menopause, you are likely to experience a few of the following symptoms; chills, irregular periods, mood changes, night sweats, vaginal dryness, thinning hair & dry skin, loss of breast fullness, weight gain, and slowed metabolism. Skipping periods during perimenopause is common and should be expected. Usually, menstrual periods will skip a month and then return, or possibly skip several months and then begin monthly cycles again for a couple of months. Also, periods tend to occur on shorter cycles, so they will be closer together. Menopause starts when the ovaries stop making estrogen, and slow down in the making of other reproductive hormones, like progesterone. Without these hormones, you no longer get your period and stop being able to get pregnant. Extensive research has been done on the complex role of the endocannabinoid system (ECS) in female fertility. This includes the onset of menopause. Current research has shown that a few fundamental changes happen in the ECS and other related biological systems during menopausal transition. The ECS is a network of endocannabinoids and cannabinoid receptor proteins that are found in the central and peripheral nervous system of mammals. In essence, the network infiltrates the entire body and regulates various cognitive and physiological processes, which includes fertility. The ECS controls how cannabinoids, like CBD, interact with the body. Oestrogen is a hormone that facilitates the proper function of the ECS. This is achieved by regulating the fatty acid amide hydrolase (FAAH) levels in the blood. When oestrogen production declines, FAAH levels fall. Oestrogen and endocannabinoid levels peak during ovulation. FAAH helps to facilitate the breakdown of endocannabinoid anandamide. Anandamide possesses an ovarian function and helps in the maturation and release of the egg at ovulation. One of the other roles of oestrogen is to activate the ECS for regulation of emotional response. The declining interactions between oestrogen and the ECS show that the symptoms of menopause could take place because of reduced endocannabinoid activity. What Menopause Symptoms Might CBD be Able to Treat? The mood swings that take place during menopause are because of fluctuations in progesterone and oestrogen. These mood swings are often accompanied by anxiety – menopause and anxiety go hand-in-hand. The stressful life changes that occur around this time can be a cause of this anxiety. CBD is able to improve mood and inhibit anxiety. Extensive animal and human studies have explored the anxiolytic effects of CBD. As a result, the compound is being considered for multiple mood disorders, including depressive disorders and anxiety. A 2010 study that was done on mice found that CBD works in a similar way to antidepressants in the brain, and thus helps to treat symptoms of depression. This is one of the most common symptoms of menopause. Hot flashes are experienced because of an intense buildup in body heat that starts in the chest and face, followed by chills and the sweats. Some women have reported anxiety as the sensation builds. The above-mentioned anandamide is an endocannabinoid that helps with the regulation of body temperature. CBD is believed to increase the levels of anandamide found in the body by inhibiting the action of the FAAH. The overall result is the ability to control body temperature. Loss of bone density is a possibility for any woman during menopause. If it’s left untreated, it could lead to osteoporosis or other debilitating bone ailments. Estrogen regulates the process that replaces the old bone cells with new cells. A reduction in estrogen levels causes the bones to become gradually weaker. Osteoclasts are the cells that are involved in breaking down the bones. When osteoclast activity is aggressive, bone loss occurs. There are numerous GPR55 receptors in the osteoclasts. If the cells are stimulated too much by these receptors, it can result in an excessive bone loss which may lead to osteoporosis. Research has found that CBD can interact with the GPR55 receptors to inhibit their action and therefore prevent bone loss density. The hormonal changes that take place during menopause can cause several painful conditions. These include migraines, muscle aches, and joint stiffness. CBD is a well-known pain relief agent. 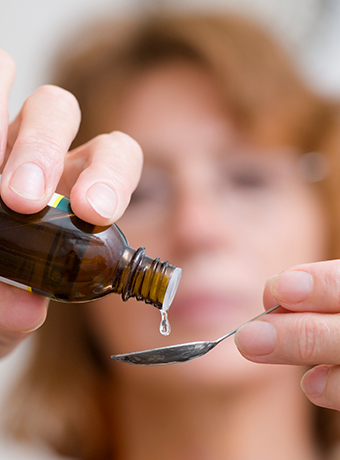 Many people actively use CBD for managing pain in clinical settings. Researchers have reported on the beneficial aspects of CBD on joint and muscle pain. CBD is able to inhibit certain cellular processes that may cause both swelling and pain. It’s the anti-inflammatory action of CBD that can help menopausal women to engage in daily activities more productively. 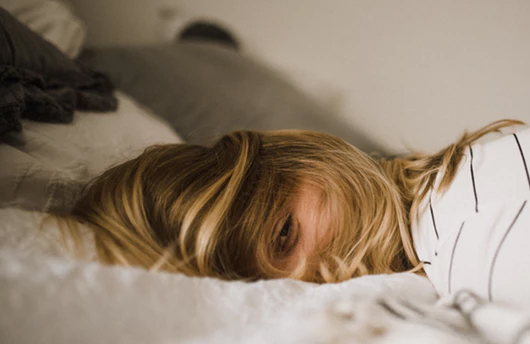 Having problems sleeping is a well-known complaint during menopause, and it could have a significant impact on daily life. Insomnia is usually the result of other symptoms, like hot flashes and migraines. A lack of sleep can affect many areas of a woman’s life. CBD has been reported to be a very effective natural remedy for treating sleep problems. CBD has relaxing and anxiolytic effects that could help to support deeper and more restful sleep. Currently, there is very little evidence on how exactly CBD treats menopause and its associated symptoms specifically. The fact is, researchers have only recently begun to understand how the ECS works and the role that it plays in different health conditions. While further research certainly needs to be done on CBD and menopause, thus far results are very promising. CBD is an effective treatment option for several of the associated symptoms of menopause. Lennox from Ashburn just bough! Brooklynn from Ashburn just bough! Raymond from Ashburn just bough!